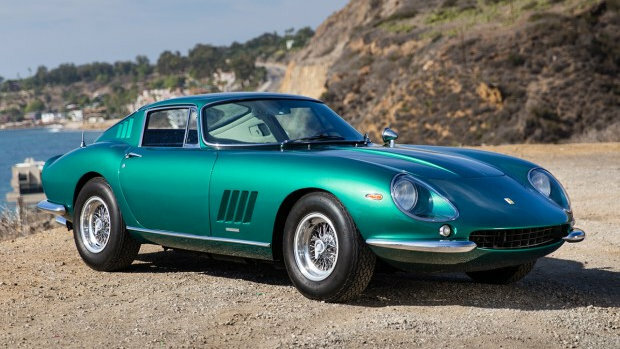 Highlights of the 2017 Gooding Scottsdale sale include a 1967 Ferrari 275 GTB/4, 1964 Aston Martin DB5, 1955 Mercedes-Benz 300 SL Gullwing and a 1964 Shelby 289 Cobra. These very desirable sports cars form the 1950s and 1960s join the previously announced pre-war cars as some of the highlights of the Gooding & Co Scottsdale 2017 classic car auction. Gooding & Company will hold its 10th annual two-day Scottsdale Auctions on January 20 and 21, 2017, at the Scottsdale Fashion Square in Arizona, USA. 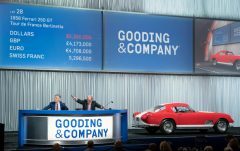 Gooding sold 97 of the 113 lots on offer at the 2016 Scottsdale classic car auction for a sell-through rate of 86% and grossing $43 million. This compared to 114 out of 126 sold in 2015 for a fantastic 91% sell-through rate and earnings of $51.5 million. The 1967 Ferrari 275 GTB/4 is with an estimate of $3,000,000-$3,400,000 the most-expensive car thus far announced for the 2017 Gooding Scottsdale classic car auction. It is finished in its original striking Verde Pino livery. From the perfectly sculpted coachwork designed by Pininfarina to the race-bred performance of its magnificent four-cam, six-carb, 12-cylinder engine, the Ferrari 275 GTB/4 is a model that perfectly encapsulates the Ferrari mystique. This is a special example of the four-cam 275 GTB, chassis 10563, is finished in its original Pine Green (or Verde Pino) livery with striking orange (Arancia) upholstery. This 1967 Ferrari 275 GTB/4 was sold new through Bill Harrah’s Ferrari dealership, Modern Classic Motors, and has always resided in the US. Since the 1970s, this car has been owned by prominent collectors, including Dr. Ronald Finger and Sherman M. Wolf. This Ferrari looks fantastic in its rare original color scheme and drives exactly as a classic front-engine V-12 Ferrari should. 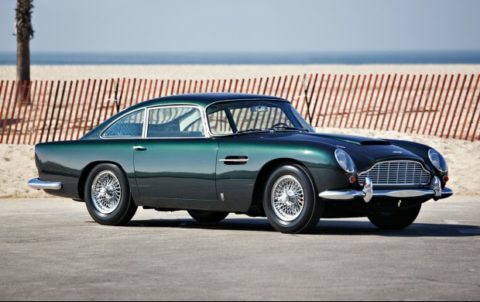 The 1964 Aston Martin DB5 (Estimate: $1,000,000-$1,200,000) is a rare left-hand-drive car. The DB5 is the most revered Aston Martin model, made famous for its elegant styling, world-class performance, and starring role in the James Bond film Goldfinger. Fewer than 900 DB5 Coupes were built, and this car is one of just 220 originally supplied as left-hand-drive cars for the export market. Finished in a handsome Dark Green over black color scheme, chassis DB5/1612/L is a wonderful example that has been owned by one Southern California collector for the past three decades. Featuring its original engine and equipped from new with air-conditioning and a limited-slip differential, this is a sensational and highly collectible English GT. It is a true automotive icon that offers an ideal entry into many of the best concours, tours, and wide variety of events held by the Aston Martin Owners Club. The 1955 Mercedes-Benz 300 SL Gullwing (Estimate: $900,000-$1,100,000) is a rare garage find in a very original condition and from a single owner. This incredible 300 SL Gullwing is the quintessential garage find. 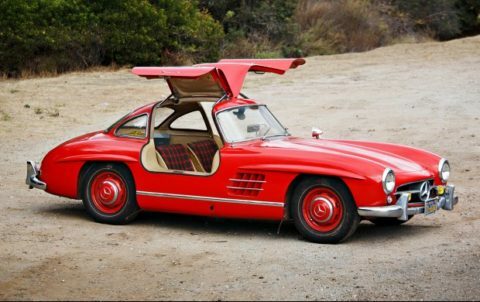 Stored by its original owner in his aircraft hangar since 1976, this Gullwing features its original engine, plaid interior, and many unique accessories and details. Remaining in remarkably sound condition, and showing just over 31,000 miles from new, this legendary sports car presents a fantastic opportunity for a sympathetic preservation or restoration.. There are very few one-owner 300 SL Gullwings in existence and even fewer chances to purchase one. The 1964 Shelby 289 Cobra (Estimate: $900,000-$1,100,000) is a late model and in fully restored condition. One of the most iconic sports cars of the 1960s, the Shelby Cobra was envisioned by famed racing driver Carroll Shelby and developed by his team of talented engineers. The Shelby team successfully combined the best qualities of European competition machinery and California hot rods, which resulted in this distinctive Anglo-American sports car. 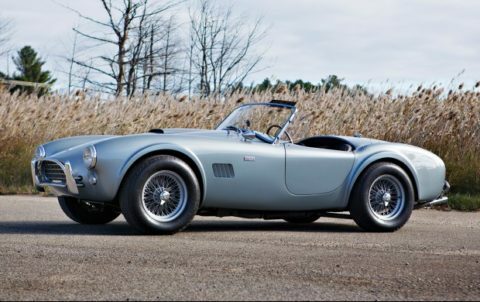 This 289 Cobra, CSX2411, is a late-model example with the coveted rack-and-pinion steering, and it has been beautifully restored by marque specialist Rare Drive Inc. Following the restoration, CSX2411 was displayed at the 2007 Amelia Island Concours d’Elegance and successfully completed four Cobra Tours. Presented today in the stunning original color combination of Princess Blue over black upholstery, this classic offers a great opportunity to own an exceptional Shelby Cobra. See also Pre-War Classics at Gooding Scottsdale 2017 for some fine pre-1939 cars including a beautiful 1925 Bugatti Type 35 Grand Prix.